Brilliant work from Dr. Polsky – and very thoughtful. Missy has clearly formed a ‘pack’ with her German Shepherd friend – to separate the two dogs at this stage would be nothing short of cruel. Best wishes from Ruth and Jasper the Staffordshire Bull Terrier in England! I only have one pet, and I would be upset if I had to be away from him for any period of time. I don;t understand people who leave their pets with someone else, then come back at a later date and ask for the pet back. Augh. Jerry, were you not listening to the testimony of the dog expert? No, he wasn’t listening. He doesn’t care about the dog, he just wants his own way. Thank you for posting this, very insightful! Plaintiff is an idiot, he’s not even going to be there and has 3 other dogs at his parents he can visit, the dog needs to be with defendant, clearly. It’s so good that JJ is a dog person in making decisions like this. Right decision completely. Good job! This was a good decision. the man does not need anymore dogs.. having 3 dogs already was rediculous and the dogs was clearly pulling away from the terrior and did not like her. I love the time and thought that went in to insuring that the dog would be happy! What is wrong with plaintiff?? He heard well what the doctor said and he says ‘i dont understand why i cant keep the dog?’. duh! Most so-called “animal behavior specialists” don’t know crap when it comes to domesticated dogs. 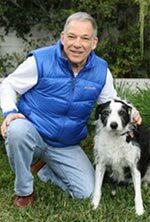 Knowing dog behavior requires experience–and keen observation. I was impressed with this guy. Everything he said made sense–especially his knowledge of breed characteristics. Neither he nor anyone can really KNOW what would happen with those three dogs–but it was clear that fighting could happen. To stay with those other dogs would require full-time owner presence for AT LEAST a year. Submit your comments on this video!